This one has become one of hubby's favorites, he asks for it once a month. 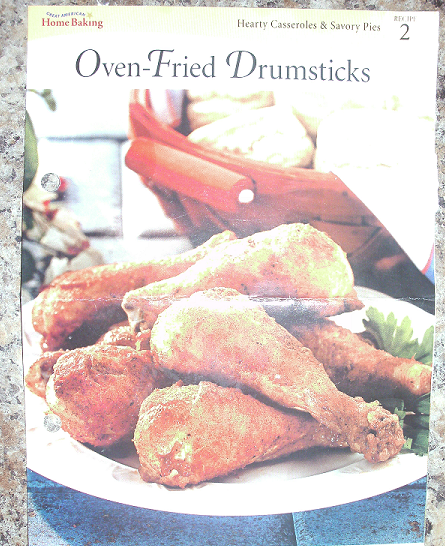 I suggest finding drumsticks on Manager Special, or mark down. I can get them for under $1 a pound and in huge packages, enough for 2 meals. 1. preheat oven to 450. Pour the vegetable oil evenly over bottom of 15x10x1 inch baking pan. 2. Combine the baking mix, paprika, creole seasoning, seasoned salt, garlic powder, Italian seasoning and black pepper in a large bowl. Mix well. Pour into a paper bag. 3. Add the chicken drumsticks, a few at a time, to the bag and shake to coat. Arrange on the prepared baking pan. 4. Bake chicken, turning once, until juices run clear when pierced with the tip of a knife, about 30 minutes. Transfer to a serving dish. Serve immediately.